Is Integration of ICT in Education Beneficial or Not? Now, the information and communication technology (ICT) occupy an important place in our everyday lives, which include our overall society as well as education. 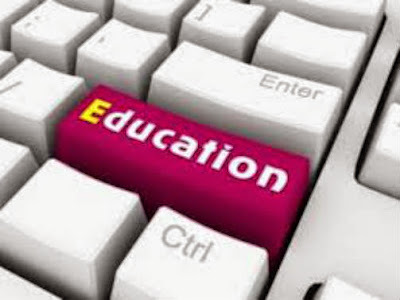 It is the fact that ICTs are increasingly integrated in educational institutes across the world. However, there are also two schools of thought: those who advocate the integration of ICT in the educational world and those who have the conflict view. ICTs are now the necessary component of the educational world. On the daily basis, through the use of ICT students exchange millions of messages at the same time and opens endless web pages. Technology, whether Internet, software and hardware, email messaging, social media platforms, all have made considerable changes in the procedure of teaching and study. In some of the situations, both the students and teachers have completely left paper and pen and now they do not rely on these. There are more than enough benefits of integration of information and communication technology in the educational domain. In accordance with the Eurydice’s 2011 Key Data report, when students work in groups or teams, information technology assists prevent isolation, promote exchanges between them and build skills of critical thinking about their work. In the light of Sylvia Press, the information and communication technology can definitely enhance the motivation of young people in high schools, colleges and universities. Indeed, the research workers at the Oxford University have concluded that the use of the notebook by students will enhance the level of their motivation. Most of the researchers, intellectuals and scholarly persons across the world agree that it is urgent to integrate new and innovative technologies in the world of teaching since traditional methods are no longer challenge the youth of the internet generation. On the other hand, there are also some disadvantages and limitations of the integration of ICT in the educational domain. In accordance with the arguments of David V. Zandvliet, teachers may face complications when they integrate new and advanced technologies in the education. Zandvliet refuses the integration of technology in the context of learning, as teachers are not all comfortable to use these state-of-the-art technologies. Moreover, in accordance with the UNESCO, the fast growing development of information technology can be one of the key obstacles to the Ministry of education, education managers and educational institutions who need to update more recent developments in this field on the daily basis. As far as the cost is concerned, the costs of integration of state-of-the-art technologies in education, whether in terms of investment in the latest tools and equipments and in terms of training of teachers and logistical support, can be the biggest barriers to the integration of the latest and advanced technologies in the educational domain. In short, information and communication technology can best facilitate teaching and learning as well as enhance the motivation level of students. For cons, the integration of these technologies may encounter some barriers, such as the lack of teachers’ knowledge and the costs that may be the most vital obstacles. In my view, if the educational institutions and the governmental authorities will focus properly on the integration of advanced ICTs in the schools and colleges, students will be definitely benefited. (*) John Kelly is a professional and experienced writer associated with Buy Essay Online from last three years. His responsibility to provide guidance and writing tips to the students. Why are so many running away from social media and casting fear and hatred at tools that can very easily be used to make school more engaging, more fun, more empowering, and more beneficial for our students?